The Port of San Diego has scheduled two meetings for the public to view and comment on potential designs for the planned Harbor and Sweetwater parks on the Chula Vista waterfront. The two parks will account for more than half of the new park space planned for the bayfront. While the two parks will be connected, each will be unique in design. 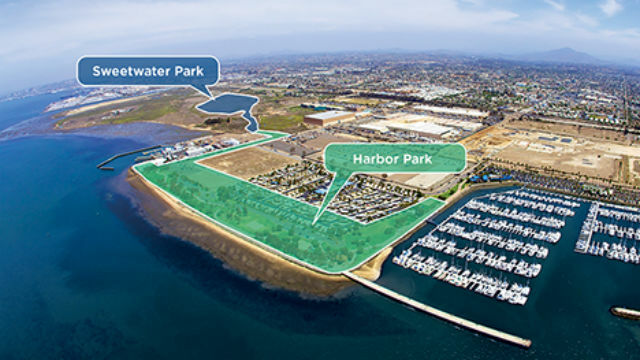 The Harbor Park design workshop meeting is at 6 p.m. on Thursday, Jan. 10, at the Chula Vista Public Library, Civic Center Branch, at 365 F Street. The Sweetwater Park design workshop is at 6 p.m. on Tuesday, Jan. 29, at the same library branch. Attendees will then have an opportunity to provide input that will be used by the landscape architects to create a final design. The parks’ design team, KTU+A and Jacob Petersen with Petersen Studio, were selected for their extensive urban park and waterfront design expertise. KTU+A recently completed Southcrest Trails Park and Jacob Petersen is known for Waterfront Park on North Harbor Drive in San Diego.